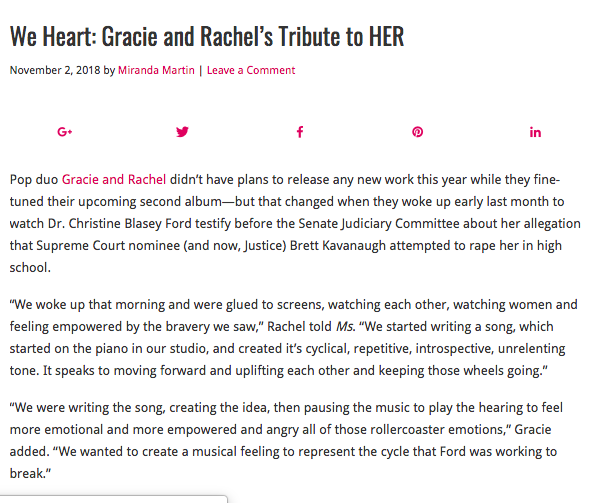 Ms. Magazine featured our song and video for “HER” and interviewed us about the process of making the song and the importance of making art during times of unrest. NPR Music Nominates Gracie and Rachel as Your Favorite New Musician Of 2018! "HER" Now Available on Bandcamp!